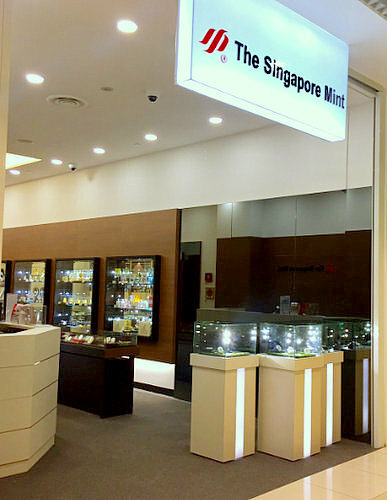 The Singapore Mint has a total of four stores in Singapore, one of which is within City Square Mall (180 Kitchener Road). Established in 1968, The Singapore Mint, a fully owned subsidiary of Sembcorp Industries, offers high quality premium collectibles, especially coins & numismatics, gifts (both currency and non-currency-related), corporate gifts, as well as lifestyle products and services. Combining advanced minting technologies with authentic crafting methods, The Singapore Mint is one of the few mints in the world that still maintains a team of highly skilled craftsmen, adding intricate elements that can only be meticulously achieved by the human touch. This is why the company has a reputation for creating high security and innovative features on circulation and commemorative coins and collectables. Originally a mint that produced mainly coins and medallions, today’s The Singapore Mint also provides quality currency-related gifts and collectibles, lifestyle products and services to both local and international markets. Collectibles & Others, Cards, Collections). The official Facebook brand page for Singapore Mint is located at www.facebook.com/SingaporeMint. Following the Facebook page, you’ll be among the first to learn about new collectible coin series, new products by the mint, promotions, events, and more.